MOSCOW (Sputnik) - Five Afghan police officers were killed in a coordinated attack by the Taliban movement on a security forces compound in Afghanistan's southeastern Ghazni province on the first day of the ceasefire between the government forces and the militants declared by the authorities, the Khaama Press News Agency reported. 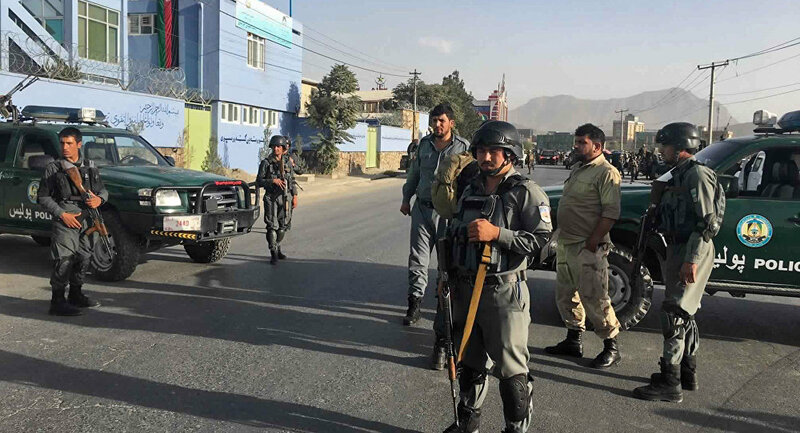 In the early hours of Tuesday, the Taliban members detonated an improvised explosive device placed inside an armored vehicle in the Moqor district, the outlet reported, citing provincial governor’s spokesman Arif Noori. Apart from the Afghan security officers, 10 Taliban militants were killed in clashes, which began after the blast, the reports added. The nine-day ceasefire, timed to Eid al-Fitr, the Muslim holiday marking the end of the month of Ramadan, was unilaterally declared by Afghan President Ashraf Ghani last week. Taliban responded to the move by declaring a three-day truce starting on Friday.